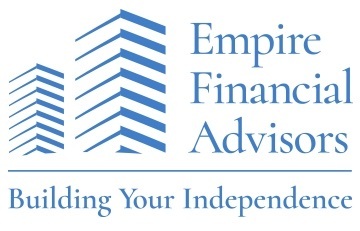 Gretchen Meyer-Thornton | Empire Financial Advisors Inc.
Gretchen knows what its like to be caught off guard from unexpected life events—and the financial devastation that can result. She vowed she would never again rely on someone else to provide her with financial security, and it became her mission to help other women do the same. Today, Meyer-Thornton is owner and president of Gretchen Meyer Financial in Latham, New York, where she and her team of financial professionals help women of all life stages work toward financial independence. Gretchen Meyer Financial has developed into a movement much more powerful than Gretchen or her own struggles. It’s become a calling to empower women to understand their financial options, define their dreams, protect themselves, invest in their future and ultimately live the life they want. The company’s consultative approach is shaped by Gretchen’s experiences and what she realized was missing in the financial planning arena: financial consultants dedicated to women's financial needs. Her team nurtures mutually respectful relationships where both parties are accountable for financial independence. Gretchen Meyer Financial provides financial consulting and financial life coaching, and as a result, transformational wealth management. Gretchen Meyer Financial serves $15 million in brokerage and advisory assets through LPL Financial for clients across the US. 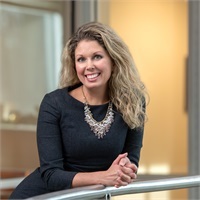 Gretchen is a sought-after speaker for female audiences large and small, on a mission to inspire her listeners to pursue their financial goals, whatever they may be. Prior to starting her own company, Gretchen worked as a corporate executive in Manhattan. She received her MBA from Columbia Business School. To learn more about Gretchen Meyer Financial or to sign up for an upcoming event, visit www.gretchenmeyerfinancial.com.